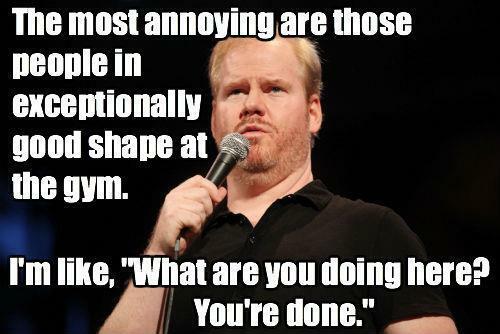 The most annoying are those people in exceptionally good shape at the gym. I'm like, "What are you doing here? You're done." The most annoying are those people in exceptionally good shape at the gym. I'm like, "What are you doing here? You're done."